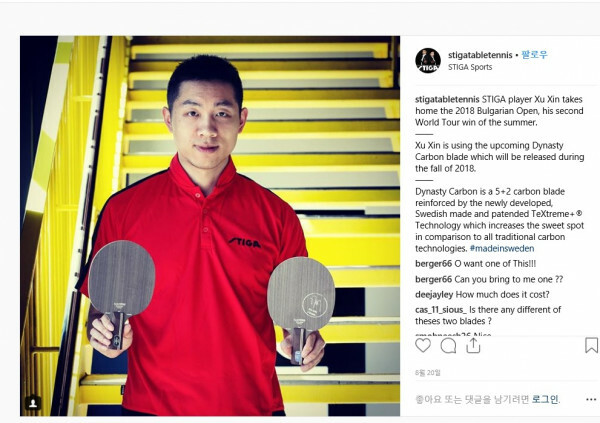 "Xu Xin is using the upcoming Dynasty Carbon blade which will be released during the fall of 2018." 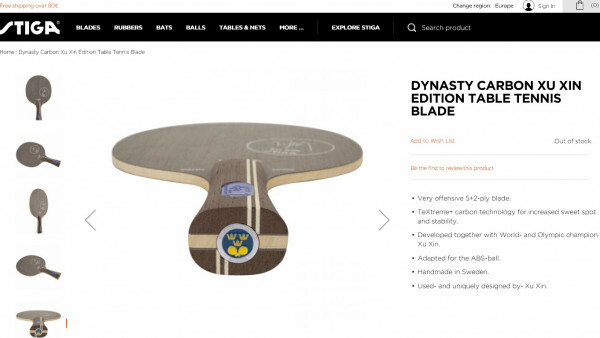 "Dynasty Carbon is a 5+2 carbon blade reinforced by the newly developed, Swedish made and patended TeXtreme+® Technology which increases the sweet spot in comparison to all traditional carbon technologies." 역시 ABS볼시대엔 카본이 대세인가 보내요. 물론 저같은 탁구 초보랑은 상관은 없지만요. 요즘이 ABS볼 시대인가요? 볼에 신경을 안써서 모르겄어요. ABS볼이 다른 시합구랑 큰 차이가 있어요? ?